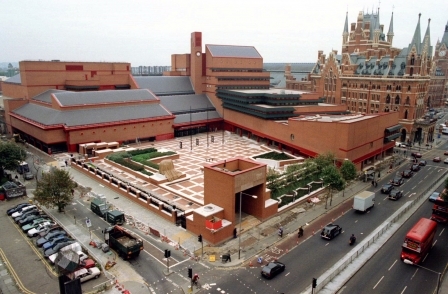 An unusual Christmas visit – the Somers Town History Club was taken down to the bowels of the Basement of the British Library. Members of the club and local residents had a guided tour to see just how the staff get orders and send them upstairs to readers. Every book published in English is represented there. A fascinating neighbour with some history – somewhat unsettling when we saw the room the Alien was filmed in. My particular faves – the punk fanzine with mention of Joy division’s gig, and a book on ‘Hippies’ – on their customs by an Indian observer. We’d like to thank the very patient Gary, who took us on the tour. Also thanks to Amber for organising, and the wonderful Chezerina Dhaliwal for the ‘special’ upstairs tour for Mordecai, who was just too-young – so as not to disappoint. I’m sure his mum was relieved in both senses of the word.